Burbank, CA – Through his character of Kwai Chang Caine in the television series of the early 1970s, David Carradine became one of the most influential figures in martial arts history. Because of the success of the Kung Fu series on ABC TV, he was able to motivate countless individuals to begin learning martial arts. This January 10, 2015, the Martial Arts History Museum will be honoring his legacy by inducting David Carradine (p) into the Hall of Fame as well unveil the actual coat he wore in Kung Fu into the museum. In 1971, Billy Jack became the spark to a flood of Hong Kong imported Kung Fu movies across the West. Kung Fu and other martial arts schools began to spring up across the nation. Not to be left out in the Kung Fu mania, ABC television launched a Bruce Lee-inspired program called Kung Fu. The show introduced an American audience to Chinese culture and history. 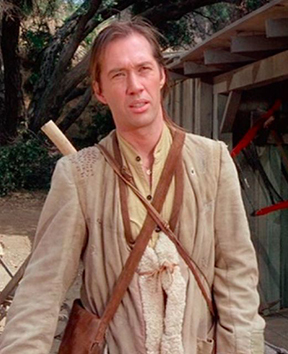 Carradine was chosen to play Kwai Chang Caine, a half-Chinese monk who fled China to come to America to wander the countryside of the old West in search of his half-brother. One of the most notable props which is shown throughout the whole series was a unique style of coat he wore. The museum is proud to be unveil the installation of the actual coat into the museum that same evening. Members of the Carradine family and Barrymore family and planning to attend the event and unveil the coat. The actual cast and special guests from the original Kung Fu series who are planning to be in attendance include Radames Pera (young Caine), Clyde Kusatsu, Kam Yuen, Douglas Wong, James Lew plus martial arts icons Don “the dragon” Wilson, Cynthia Rothrock and Art Camacho. Carradine's role as Caine marked a new era in martial arts history and as a result, the Martial Arts History Museum is proud to honor Carradine with his induction into the 2014 Museum's Hall of Fame. Carradine will be inducted into the Hall of Fame with a short ceremony as his coat is unveiled. In addition to the evening, the Gopher Chucks from Kung Pow Movie will be unveiled as well as the silver mask from Revenge of the Ninja. “Although the martial arts was here back in the 1800s and beyond, it wasn't until the movies that the martial arts became more recognized,” adds Matsuda. The induction event and the unveiling will be begin at 6 pm and open for viewing until 9 pm on Jan. 10, 2015. It will take place at the Martial Arts History Museum located at 2319 W. Magnolia Blvd., Burbank, CA 91506. The event is FREE to the public and light refreshments will be available. An RSVP sent to MAHmuseum@gmail is required for admittance. The coat is on loan from Stacey Byham.